Since we came back we started to play local tournaments right away. Arriving saturday morning from a long trip did not keep us from playing saturday night 😉 Katja and I played four local tournaments since then, three for €210 in Casino Schenefeld with 30+ people (frequently sold out these day now) and one for €315 with 20 players. Katja won one for a little over 2k payout and busted out of the others early, I got 5th in two getting paid in one. 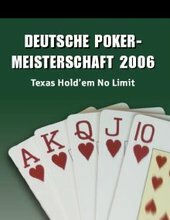 I also went to play a satellite for the German Championships but got 5th out of 12 only. Actually I managed get my “suckout score” to 2:4 (two for me, four for my opponents) which is unheard of. A suckout here is defined as hitting a 2 or 3 outer on the turn or river when your money got in the pot with the worst hand by far. We did break-even in the cash games since then. Definitly a tight schedule. 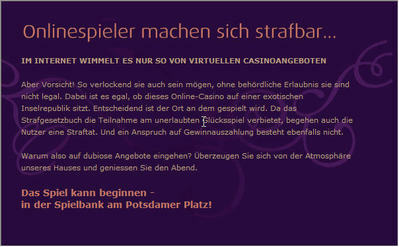 I will provide my insights and opinions on almost all of those events here as usual and in german on pokerstarblog.de.